Introducing the new and improved best seller Dynamic Skin Recover SPF 30. 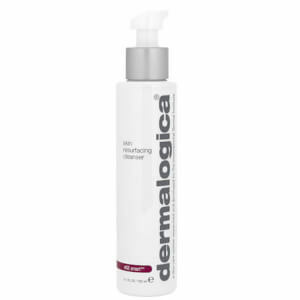 This new product - Dermalogica Age Smart Dynamic Recovery contains increased SPF50 for ultimate sun protection while remaining medium weight to eliminate the heavy or weighed down feeling on skin. 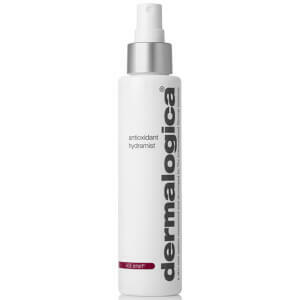 Skin will feel hydrated and nourished while also protected from harsh UVA/UVB rays. Containing Antioxidant White tea that helps to neutralize free radicals plus a unique polypeptide helps encourage collagen producing activities to fight visible signs of anti-aging. Achieve absolute hydration and help defend against the internal and external causes of skin aging with this moisturiser that contains AGE Smart ingredients to enhance the skin’s natural ability to fight skin-aging free radicals (Reactive Oxygen Species), help prevent the signs of aging caused by sugar reacting with proteins in skin (AGEs) and regulate the formation of collagen-degrading MMPs brought on by UV rays. Formulated without artificial fragrances and colors. Contains "UV and UVB protection and antioxidants" to help prevent wrinkling and brown spots on the face and delicate neck area. active: Avobenzone (3.0%), Octinoxate (7.5%), Octisalate (5.0%), Oxybenzone (5.0%). other: Water (Aqua), Octyldodecyl Neopentanoate, Butylene Glycol, Pentylene Glycol, Arachidyl Alcohol, Behenyl Alcohol, Nylon-12, Leuconostoc/Radish Root Ferment Filtrate, Arginine/Lysine Polypeptide, Palmitoyl Tripeptide-5, Camellia Sinensis Leaf Extract, Arachidyl Glucoside, Glycine Soja (Soybean) Protein, Sodium Hyaluronate, Saccharomyces Lysate Extract, Oenothera Biennis (Evening Primrose) Oil, Glucosamine HCl, Allantoin, Squalane, Algae Extract, Yeast Extract, Chrysanthemum Parthenium (Feverfew) Extract, Colloidal Oatmeal, Urea, Hydroxyethyl Acrylate/Sodium Acryloyldimethyl Taurate Copolymer, Polysorbate 60, Cocamidopropyl PG-Dimonium Chloride Phosphate, Glycerin, Disodium EDTA, Citronellol, Eugenol, Geraniol, Limonene, Linalool, Helianthus Annuus (Sunflower) Seed Oil, Rose Flower Oil, Citrus Medica Limonum (Lemon) Peel Oil, Pelargonium Graveolens Oil, Citrus Medica Limonum (Lemon) Peel Extract, Eugenia Caryophyllus (Clove) Flower Oil, Pelargonium Graveolens Flower Oil, Aniba Rosaeodora (Rosewood) Wood Oil, Caprylic/Capric Triglyceride, Titanium Dioxide (CI 77891). I love this moisturiser. I have mature, sensitive skin, which is prone to redness, but this moisturiser is gentle and soothing. Being in humid Brisbane I'm really cautious about my moisturisers not being too heavy, but this is light enough for our summers. It has a fresh but not overpowering scent and even though it has a high SPF factor it doesn't leave white ghosting on my face the way other SPF moisturisers do.